About usVolac is a privately-owned business based in the UK near Cambridge, and has been producing high quality nutritional dairy products for over 40 years. 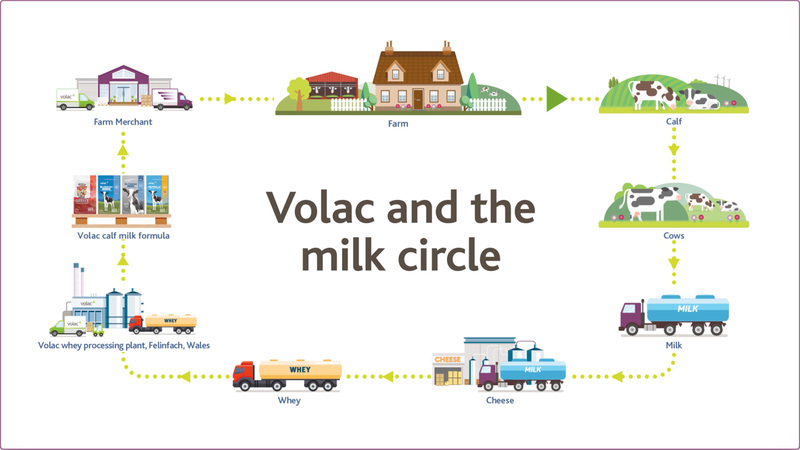 Volac is a privately-owned business based in the UK near Cambridge, and has been producing high quality nutritional dairy products for over 40 years. We are primary manufacturers with a unique approach to the processing of liquid whey. We handle up to 50% of all the whey produced in England and Wales. We are proud of our interaction with, and support of the UK and Irish dairy industry. The company has seven production facilities (five in the UK, one in The Netherlands, and one in Malaysia) where we manufacture and supply high quality dairy nutrition products to the global market. We also play a leading role in the dairy industry and are ambitious for its future growth and prosperity. Our Purpose is to provide dairy nutrition for a healthier world. We anticipate an insatiable appetite for dairy and are helping to build a growing awareness of the value of protein. We have the passion and expertise to create industry leading products and we remain agile as a business to respond to our customers’ needs. We fully respect the privacy of our customers at all times and we fully comply with applicable Data Protection Legislation. When requesting information from us and/or placing orders with us, we keep a record of your basic contact information (including name, address, email and phone). We will process your details at all times in accordance with our Data Protection Policy and any specific notices we may provide to you.